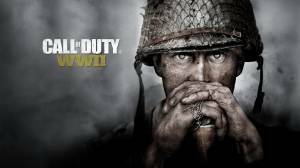 Call of Duty®: WWII returns to its roots and follows the story of a young recruit named Private Daniels in the U.S. First Infantry Division who experiences combat on the bloody Normandy Beach Landing of D-Day. Along with your squad, you'll have to fight and secure key victories across Europe. Take part in iconic battle locations such as the Hürtgen Forest and the Battle of the Bulge, and survive the unrelenting Nazi army as the Allied forces make their way into the heart of Axis Germany. Welcome to Supercheat's unofficial guide for COD WWII. Please use the menu on the right to navigate. You can also check out our Youtube Channel for future videos featured in our guides! 1Best Multiplayer weapons / loadouts? 1Is this one to get excited for?